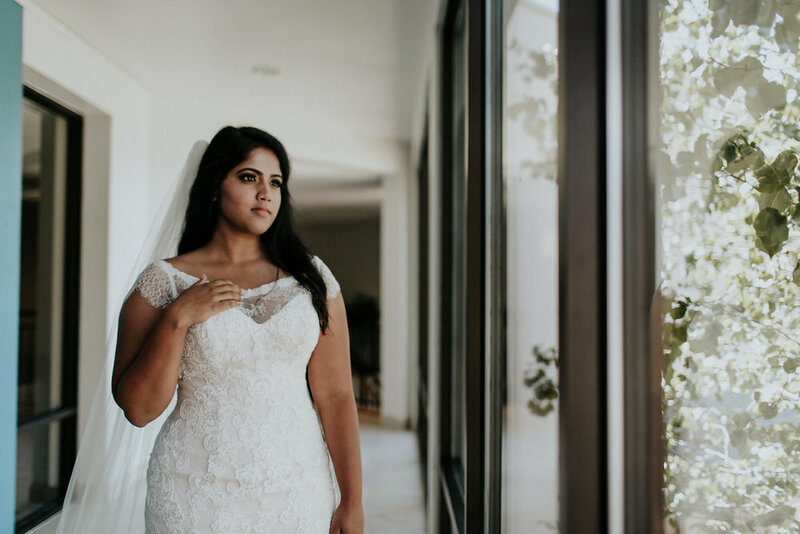 We are SO excited to finally share this amazing wedding with you! 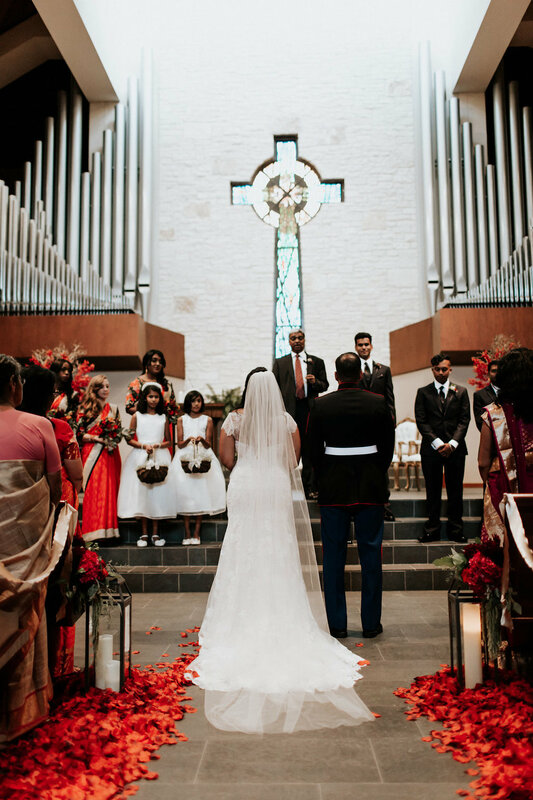 Juliann and Solomon are a wonderful Dallas-area couple who married at Westlake Hills Presbyterian Church in Austin, Texas. Afterwards everyone headed to The Oasis on Lake Travis for their reception. 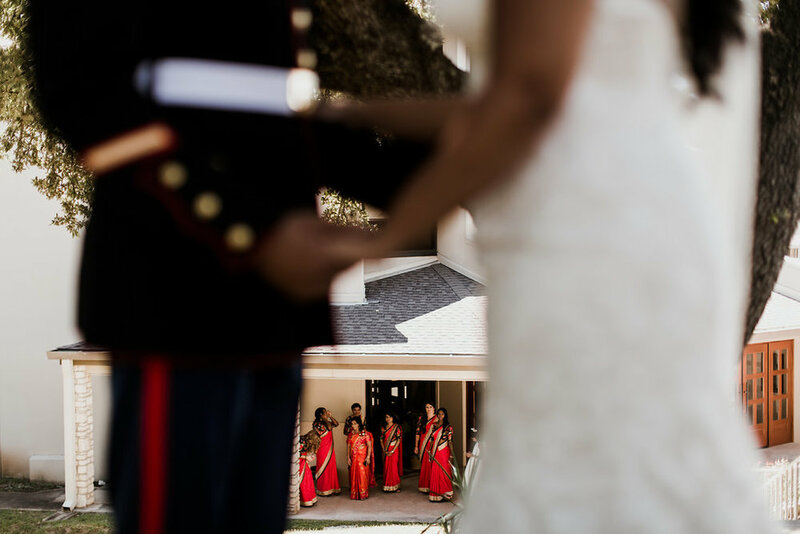 This wedding was a HUGE design opportunity as the couple wanted to represent many different aspects of their lives. 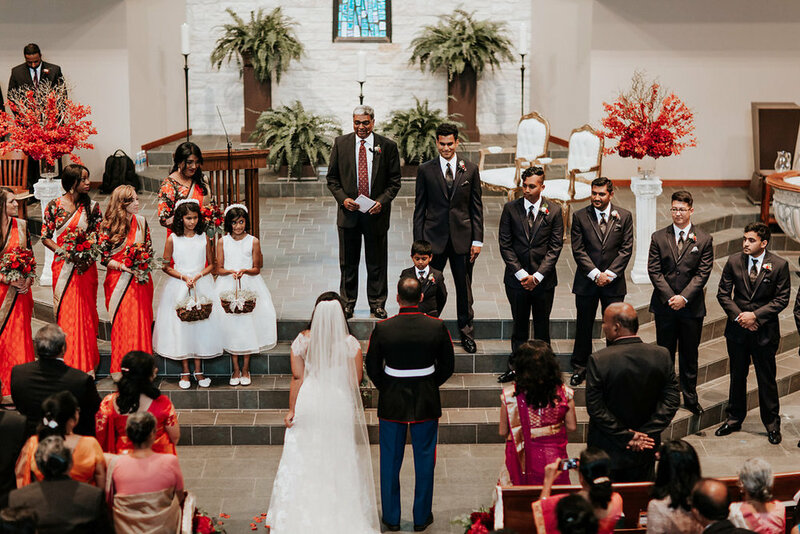 First of all, the bride and groom are both Indian and of Pentecostal Christian faith. 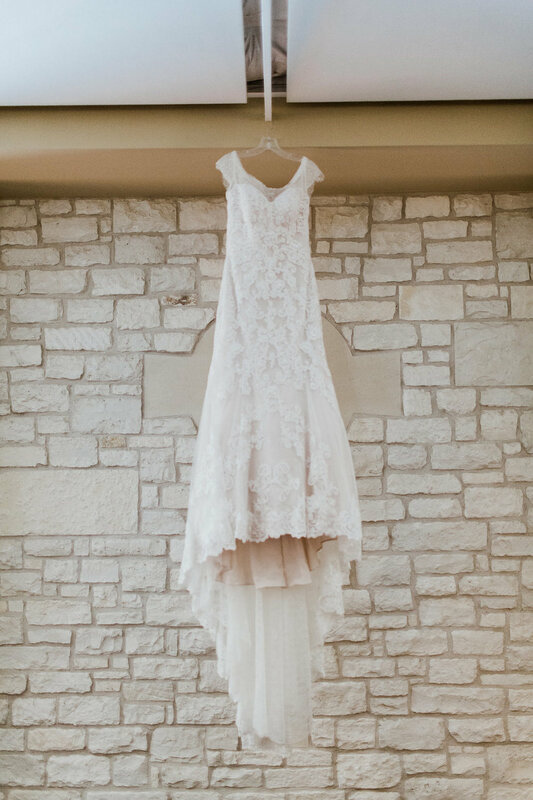 Therefore, the wedding was held in a church and Juliann wore a beautiful cap-sleeved lace white wedding gown. Glitter Knockout gave the bride and her maids stunning hair and makeup looks. 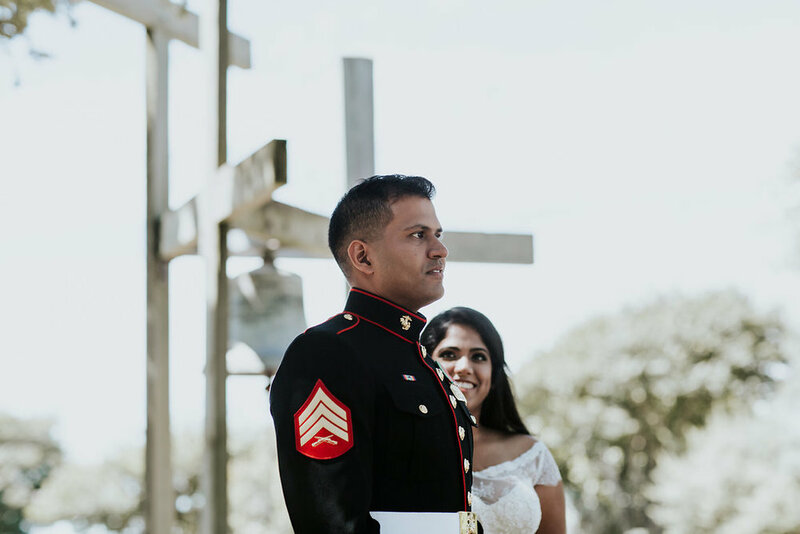 Solomon is an active-duty marine, so he donned his dress blues. 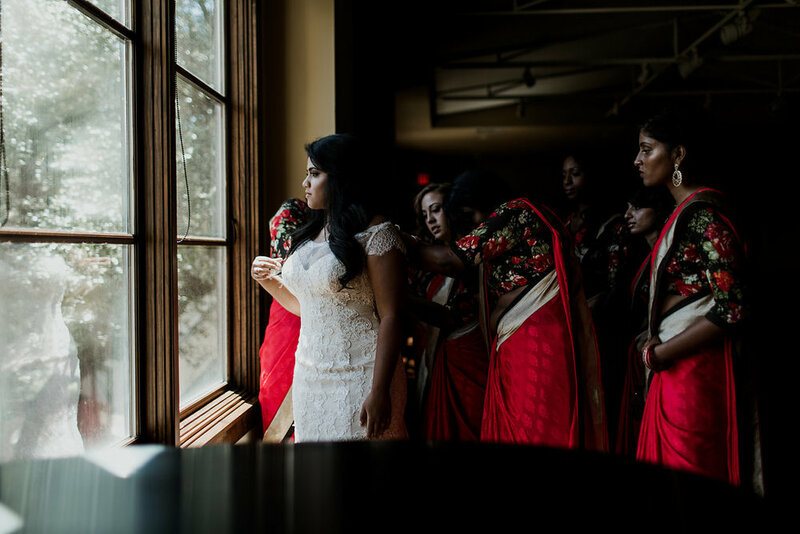 In addition to the bridesmaids wearing saris (and the wedding planner, too!!! 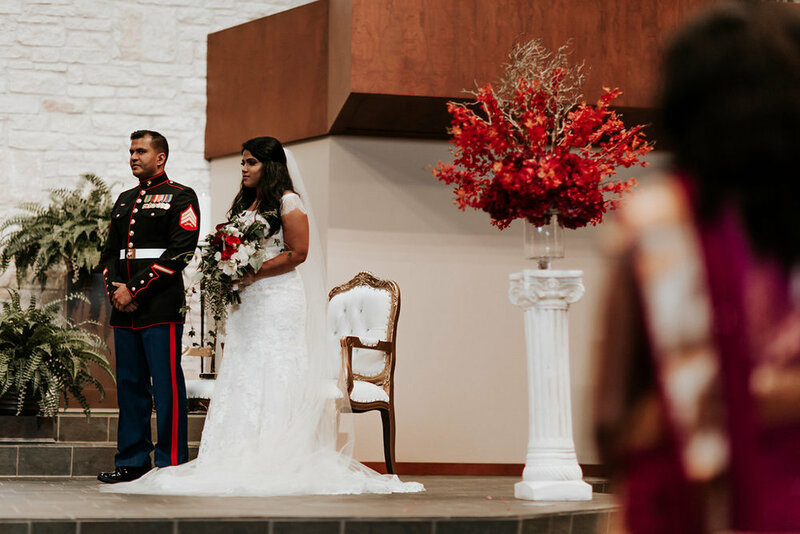 ), to bring in their Indian heritage, we tapped Yara from Unique Designs & Events to create an ivory and red vignette for the reception on the stage at The Oasis. They also draped the rest of the room to transform it from restaurant to wedding. 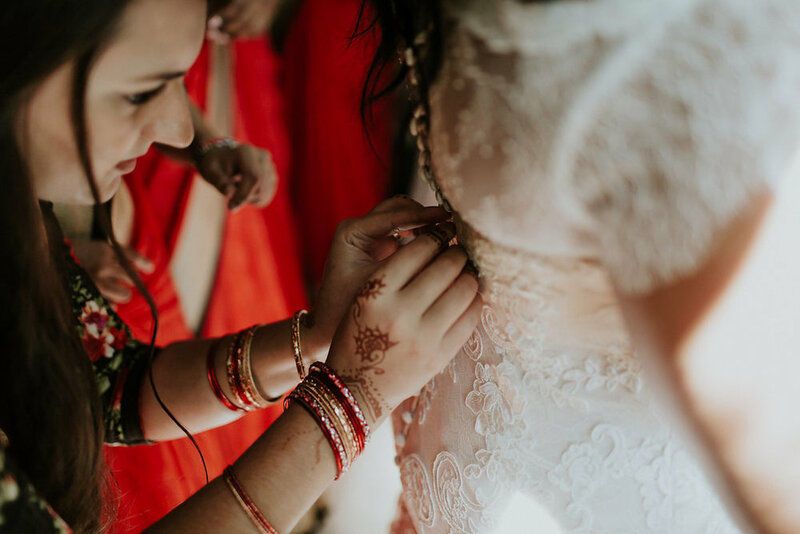 We worked with Disch Events to come up with some other elements the bride wanted - rustic, fall colors while keeping with the traditional ornate detailing of India. Simon Lee created a gorgeous white wedding cake adorned with deeply colored fall flowers. 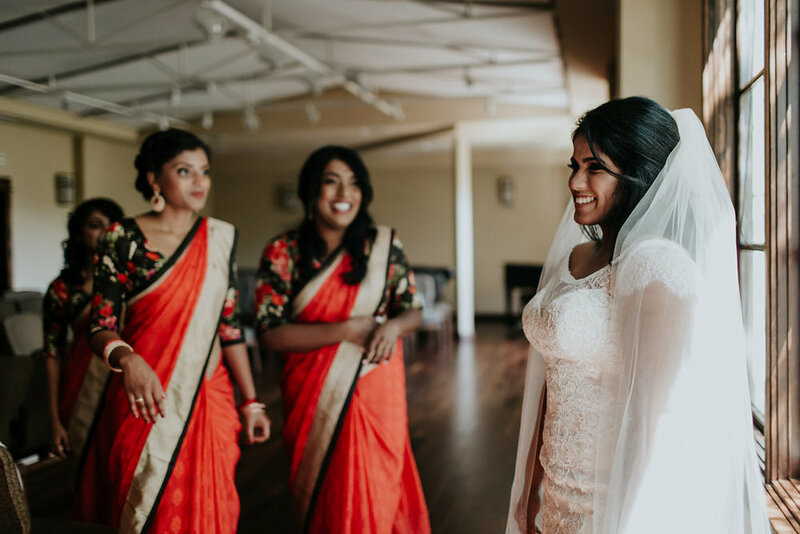 Austin's Best DJ kept the party going with a mix of party music and modern Indian dance songs. 63Films was on hand to document the wedding day for us. 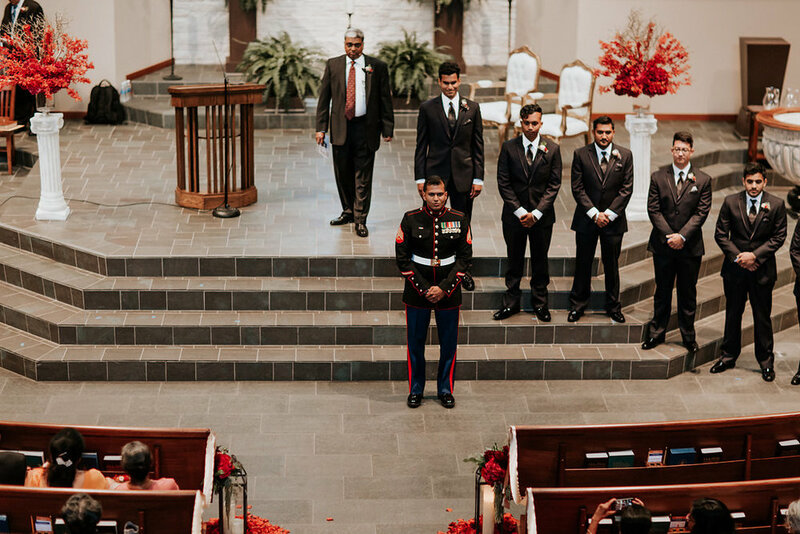 Thank you to all the vendors who made this unique wedding perfect and thanks to Juliann and Solomon for allowing Altar Ego Weddings to be your wedding planner! We wish you all the best at your new home in California. 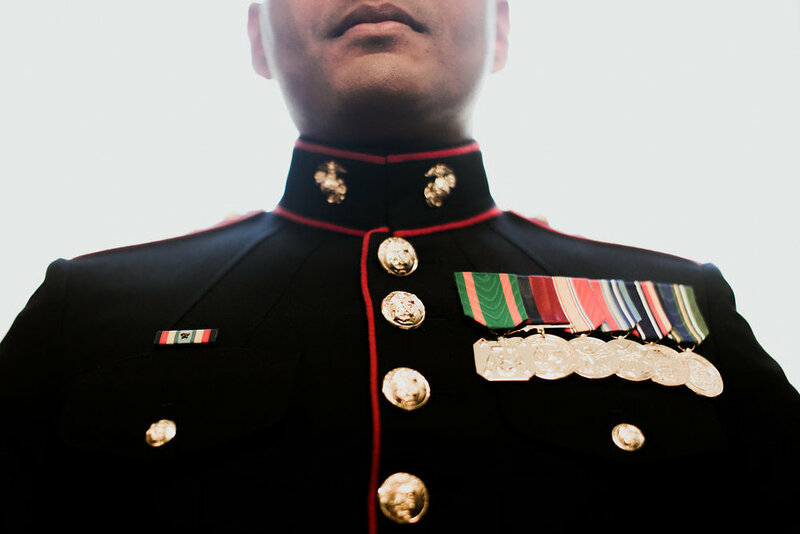 And, thank you for your service to our country.